Consolidating Scanning and Microfilming - BizTech Solutions, Inc. 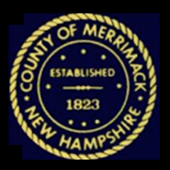 The Registry of Deeds in Merrimack County, NH, handles a variety of land records for the capital region of the state. The department currently processes between 130-280 documents (roughly 1,000 to 3,500 pages in total) each day. In order to meet long-term document retention statutes, the Registry of Deeds employed a worker who sat in a darkroom with the original documents and a small camera. The worker would place a page on the deck, press a button, take the page off, put another page on, etc. The County Registry asked BizTech to create a hybrid imaging solution utilizing advanced microfilm hardware to eliminate the duplication of effort between the existing document scanning operation and the separate microfilm process, and to speed up the entire records retention effort. BizTech developed a Reference Archive approach that included an i9620 Archive Writer, Prostar Archive Processor, and i7300 Film Scanner, all from Eastman Park Micrographics (formerly Eastman Kodak). BizTech is an Eastman Park Micrographics authorized reseller with decades of experience in creating document capture solutions for companies who utilize microfilm and microfiche for record retention. The i9620 Archive Writer takes scanned images and puts them onto microfilm for long-term record retention. The Prostar Archive Processor processes and develops the microfilm. Having an internal lab saves time and is especially efficient for immediate quality checks and re-do’s. The i7300 Film Scanner pulls older frames from microfilm, “image-enabling” them by putting them into digital format so that they can be printed or moved onto a network for easy electronic access. The originals are now sent back in a day versus the previous two-week (or more) lag time. Additionally, productivity has improved, enabling the County Registry to handle a much higher volume of work with a much improved process that requires very little operator intervention.